Just landed in Madrid ? The first thing you need is a Spanish mobile phone number. As you have just arrived, you should not commit to a 18-month plan – the minimum time you have to commit in Spain to have a mobile phone contract. Your new lifestyle means also you do not exactly know what kind of consumption you will have. Go for the “Pay As You Go” solution for now, see how it goes and upgrade to the most adapted 18-month plan as soon as your consumption pattern is stable. Please note: all prices on all sites for mobile phones and in this article are without VAT (21%). Or if you prefer to get professional help to get the best right away, thus saving an average of 200 € a year just on bills, or 2000 € on time and temp accomodation saved, ask now for your free relocation consultation ! Forget the big guys: Movistar, Vodafone and Orange. Go for Tuenti. Simply put, the big guys are 2 to 3 times more expensive than this contender: The “Big Guys” charge 8-25 cents vs 3 cents with Tuent for instance. Oh, and Tuenti no requires minimum consumption, and they have also the cheapest PAYG data plan: 1 GB for 7 €. And you can order via internet, have it delivered at home, and manage everything via a website in English afterwards in your personal area. That’s why I recommend Tuenti. If you are in Madrid, I recommend you go to the flagship Movistar store on Gran Vía 28 where you will have Movistar people who speak English and will help you out to get a Tuenti sim card. Just order the sim card alone, or with a mobile phone, from their site and you will receive at home a few days later – easy. If you don’t have any address, you can go to one of their shops in Madrid (it’s Movistar shops in fact), and get a sim in no time. 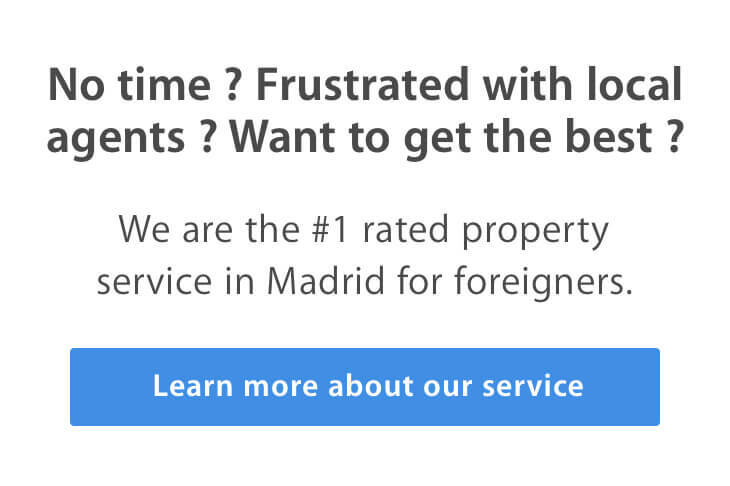 Disclosure: I have no interest in Tuenti, apart from making sure my readers and my clients get the best deal in Madrid ! By the way, quality is roughly the same since Tuenti uses the best network: the one from incumbent and formely public company Movistar. If you know more or less how many minutes, calls and sms you are going to spend, then go there and enter the information to get the best deal automatically: http://www.doctorsim.com. The Big Guys have interesting deals for 18 months plans, with all included internet and calls, especially when you combine with having internet with the same provider. For now, go for PAYG with Tuenti, and when your bill stabilizes, shop around for the best all-in-one package with mobile, landline and internet.